KIEV, Ukraine -- Ukrainians stood up in the frigid cold of a Kiev winter more than one year ago – facing arrest, truncheons and ultimately a hail of bullets – with concrete goals in mind. The revolution was, at its core, an affirmation of the European values of fairness and the rule of law. It was a fight for transparent democracy, accountability for public officials and an end to the rampant corruption that has plagued our country. The former system of governance in Ukraine, in which public officials and prominent businesspeople operated under the table and above the law, shut us off from the rest of Europe. For Europe, with all its existing problems and challenges, has codified a system of checks and balances and a system of laws. My recent decision to dismiss the governor of the Dnipropetrovsk region, Ihor Kolomoiskiy, is indicative of this drive to prevent the inappropriate influence of private interests on the state. The rule of law is of utmost importance in the new Ukraine, and there is no longer any tolerance for actions that undermine equality before the law. Public officials and large business owners are regular citizens like pensioners, students, workers, and small businessmen, in fact, just like everybody else. Those accused of abuse of power, corruption, or other offences are subject to the law regardless of their personal connections or wealth. Viktor Shokin, our general prosecutor, has said as much, stating that there are no untouchables in Ukraine – not even the prime minister or president. This is why we are already seeing arrests and charges against those suspected of misconduct or the misuse of public office. Investigations into the business activities of other powerful oligarchs are under way. A number of high-ranking civil servants were also recently detained on corruption charges. State enterprises now have to disclose their financial data for independent audit, which will eradicate the rampant corruption that permeates this sector. But we cannot simply push our way to justice. Justice is not the revenge of new authorities over previous administrations. Justice is blind to the untouchables, whether they are from the old or new authorities. The road forward is still long, but we’ve already started. Despite new legislation that launched judicial reforms in February, earning the praise of the Venice commission, an advisory body of the Council of Europe, much remains to be done to entrench the rule of law in the courts. The newly adopted reforms to Ukrainian law ensure the right to a fair trial, change the rules relating to the selection of judges, return authority to the supreme court and establish transparent rules on the bodies responsible for judicial appointments. The list of disciplinary penalties and the grounds for disciplinary liability has been extended. The procedure for assessing judges’ qualifications has been introduced for all judges without exception. A judge will have to undergo a qualification assessment – a professional exam – and abide by anti-corruption legislation. In addition, a constitutional commission has been formed to craft constitutional amendments to make Ukraine a decentralised state that enshrines the rule of law and offers its citizens the right to a fair trial within a reasonable time frame. We are also making it easier to run businesses in Ukraine. We have significantly reduced (from 56 to 38) the number of business activities that are subject to licensing. Registration of a legal entity can now be done online and a new head of the anti-corruption bureau has been appointed this month. We are introducing a total change of the rules of the game – there will be no obstacles for entrepreneurs who play fair. 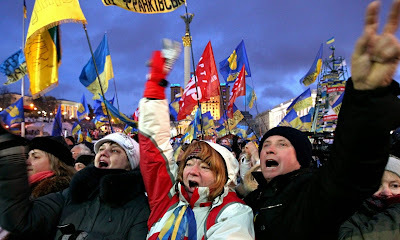 Post-independence Ukraine has often failed to match the promises made to its citizens and the international community. Despite a particularly challenging environment, the new Ukraine is determined to live up to its obligations. 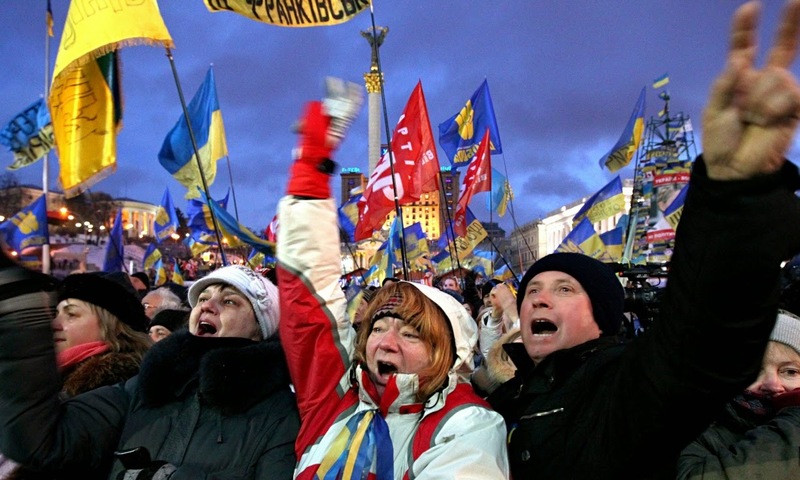 Ukraine will push forward on its path to the European Union in spite of the many obstacles.